This month, Flushing Hospital Medical Center’s (FHMC) Employee Spotlight shines on Security Officer Gregory Buie. 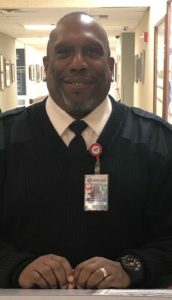 Gregory has been a security officer for three years and is tasked with securing the hospital premises, protecting its personnel, monitoring the hospital’s closed circuit TV (CCTV), and checking that the proper hospital identification is being displayed on each employee. Gregory is married, has four children and two grandchildren. When he is not at work, he enjoys traveling, basketball, football and being active in his church. We thank Gregory Buie for his valuable services to Flushing Hospital, and recognize him as a great asset to our team. The November Employee Spotlight shines on Frances (Fran) Goulston. Fran is the Continuing Medical Education (CME) Coordinator at Flushing Hospital Medical Center (FHMC). She has been a well-respected member of the FHMC team since October, 2000. 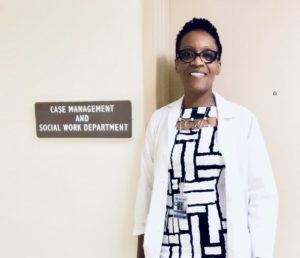 As Coordinator for CME activities, her duties include the organization of conferences, maintaining resident attendance records, distribution of CME credits, handling the funds devoted to conferences, finding and contacting guest speakers, maintaining relationships with sponsoring agencies as well as maintaining relationships with staff at Flushing and Jamaica Hospital’s. 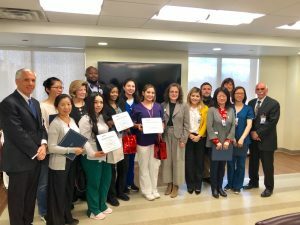 Fran also works with the hospital’s surrounding community organizations and medical groups such as the Association of Chinese American Physicians (ACAP). At home, Fran Goulston is known as the backbone of her family. 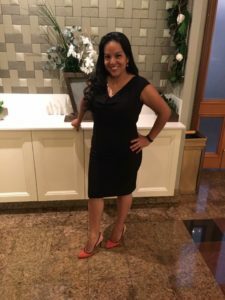 When she is not at work, she can be found with her daughter Eva, Drew, shopping with her nieces, watching TV with their puppy Royce or working for her community as Vice President of the Howard Beach Lindenwood Civic Association. This month the Flushing Hospital Medical Center’s (FHMC) Employee Spotlight shines on Nancy DeLano-Tomczyk. 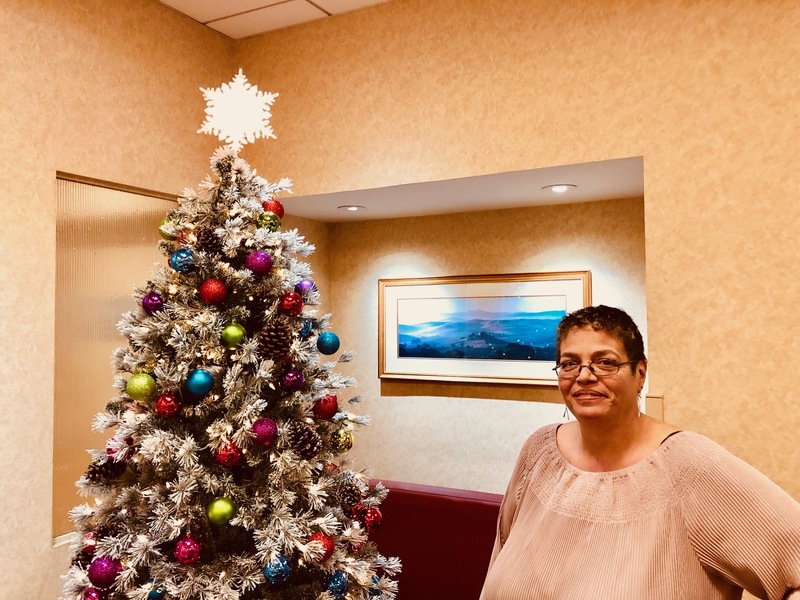 Nancy has been a Flushing Hospital Medical Center employee since 1988, and has held many titles including Out Patient Billing Clerk, Payroll Clerk, Payroll Supervisor and currently, Payroll Manager. Nancy is tasked with keeping updated payroll records by reviewing and approving changes in exemptions, insurance coverage, savings deductions, as well as job titles and department transfers. She is directly responsible for overseeing the hospitals payroll, in other words, she’s the person who makes sure FHMC employees are paid! Outside of her regular job duties, Nancy, is active in a number of hospital events. She is a Fit Bit Challenge team member and Co-Chair of the FHMC Celebration committee. On any given day, you will see Nancy collecting donations for Making Strides Pacesetter and fundraising for Breast Cancer Awareness, as well as volunteering at the MediSys Annual Golf Outing and participating in the FHMC Halloween Costume Contest; a contest that she has won several times. Nancy’s greatest loves are her two sons Joseph, 27 and Kevin 24, as well as her beautiful granddaughter, Julianna who she refers to as her “Partner in Crime.” She spends her free time listening to music, journaling and traveling. She loves to try new restaurants, go to the movies, Broadway plays, and sifting through garage sales. Although her job is rewarding, there are challenges. One challenge is coordinating all the departments to make the deadline when submitting their payroll. This month the Flushing Hospital Medical Center’s Employee Spotlight shines on Melissa Melgar. 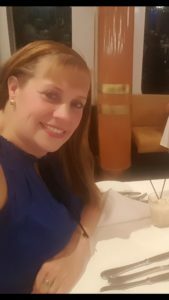 Melissa is a Flushing Hospital Medical Center employee for the past 12 years. She currently holds the title of Office Manager, Psychiatry Administration. On any given day, Melissa assists with organizing on-call coverage for the Department of Psychiatry, credentialing newly assigned medical professionals and arranging Continuing Medical Education credits (CME). Additionally, Melissa works with and prepares for the Joint Commission on HealthCare Organizations (JCAHO), Office of Mental Health (OMH), Organization for the Advancement of Structured Information Standards (OASAS) and Department of Health (DOH) prior to and during surveys. Melissa’s greatest loves are her two children, Matthew age 4 and Maya, age 3. She spends her free time site seeing, biking, dancing, taking road trips and adventures with her family and friends. She is also a champion of charities such as Breast Cancer Walk, raising funds for Breast Cancer Research, advocating for heightened awareness for Beckwith Wiedemann Syndrome and Ronald McDonald House. Although her job can, at times, be challenging; Melissa feels that helping others, making a difference in another person’s life and seeing the gratitude in patient’s faces is what makes it all worthwhile. Melissa Melgar strongly believes that everyone should be made to feel important. June’s Employee Spotlight shines on Sarah Kan, Executive Receptionist at Flushing Hospital Medical Center (FHMC). When you enter the hospital’s lobby, Sarah Kan is the first friendly person you will meet. She is knowledgeable, multi-lingual and always ready to help our patients and visitors. “The most rewarding part of my job is when the people I have helped come back through the lobby to say ‘thank you’ as they are leaving.” stated Sarah. Sarah has been a valued employee of the hospital for 7 years and is highly regarded by her co-workers. 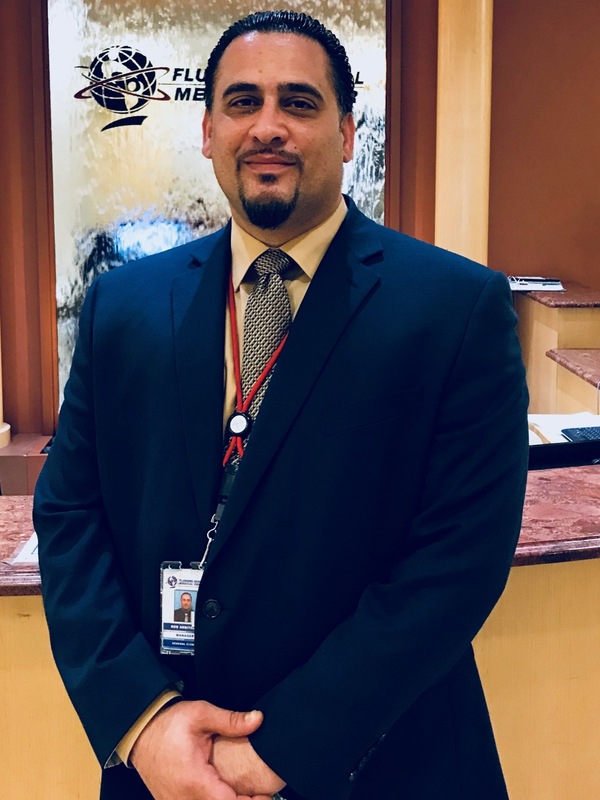 This month we shine our Employee Spotlight on Robert (Rob) Arbitello, Manager of Material Management at Flushing Hospital Medical Center (FHMC). Rob has been an employee at FHMC for the past 21 years. He began his career in the Transportation Department, became a Materials Handler, Inventory Clerk and Assistant Manager in the department he now manages. 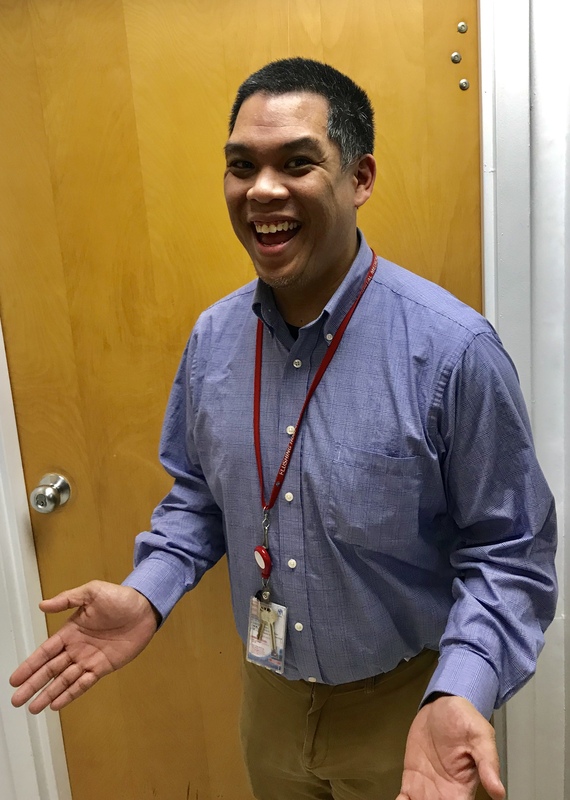 In his free time, Rob enjoys gardening, playing cards, and spending time with his wife, Shina, of 25 years and children Robert, Briana, and Joseph. On any given day, you will find Rob visiting most departments within the hospital. He is responsible for ordering all of the hospitals inventory items and runs the day to day operations of the Store Room and Receiving Departments. Some of the challenges Rob faces when ordering large quantities of supplies is finding out they are back-ordered or have been discontinued, delivery trucks that may have broken down, having weather conditions prohibit delivery or receiving the wrong shipments. For these and so many more reasons, Robert Arbitello is a valued employee and the subject of our April Employee Spotlight. 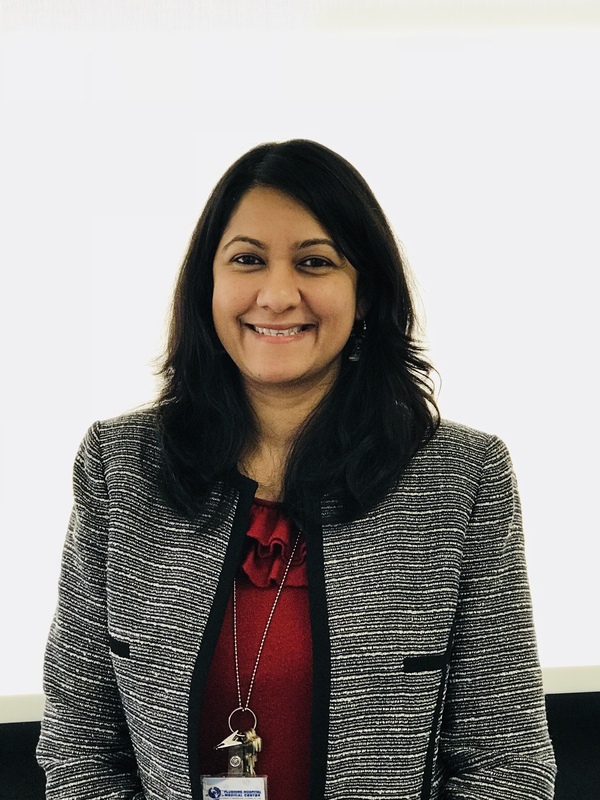 This month the Flushing Hospital Medical Center’s Employee Spotlight shines on Soomita Tewari, Executive Assistant to President and CEO, Bruce J. Flanz, as well as the Executive Vice President and Chief Operating Officer, Robert Levine. As Executive Assistant, Soomita regularly schedules appointments, creates reports and sends correspondence, attends meetings and records minutes from the meeting. She further acts as a liaison between administration and staff in an effort to ensure smooth operations at the hospital. As the Administrative Office “Gatekeeper” she screens and directs calls and issues to the appropriate departments for follow-up, manages office services and supervises the Executive Receptionist. Soomita Tewari joined the MediSys Health Network in 2007 as the Administrative Assistant in Performance Improvement (PI). She worked in PI for six years before becoming the Medical Staff Coordinator. In 2013, after being offered the position of Executive Assistant, Soomita joined the staff at Flushing Hospital Medical Center. 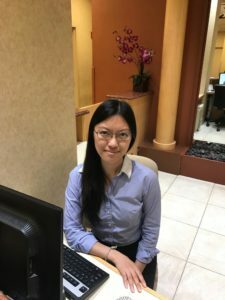 Soomita holds an Associate’s Degree in Health Service Administration, a Bachelor’s Degree in Health Information Management and gained the certification of a Registered Health Information Administrator (RHIA) and a Notary Public, which assist her in the position she holds. Soomita is a dedicated wife and mother of two children who moved from Guyana to the U.S. in 2000, seeking a new future for her family. Her hobbies include yoga, reading and watching movies. She is the treasurer of Shri Surya Narayan Mandir and a community outreach member of Surya Narayan Seva Outreach Sang. Although her job can present many challenges, Soomita Tewari faces each with her signature smile, calm demeanor and professionalism. She is a wonderful asset to the Flushing Hospital Medical Center team.